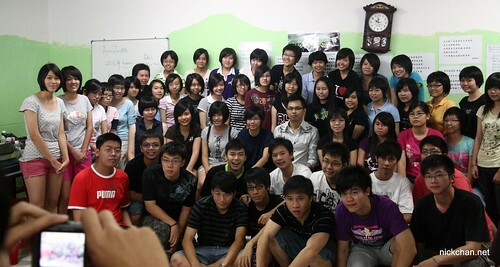 My tuition class that I attended is rather special and fun because we had a class photo taking session. 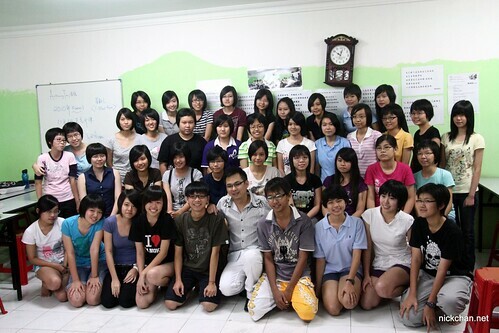 Mr Anthony, my tutor is an interesting person and he takes photo with his student every year, for memories, for fun. Not only a tutor, he is also a friend of mine. 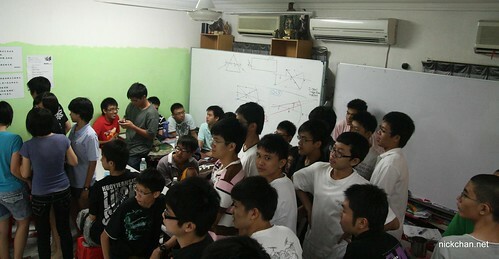 Last Thursday class, I was there. It’s Physics and Chemistry class, I helped him on the camera for the last one hour time which had been use for taking photos. Boys were excited for the photos but girls were a little bit shy to the camera. 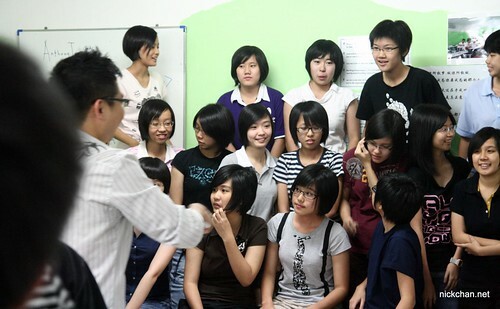 There’s one time that Mr Anthony takes photo with the girls and asked if any of the boy want to join in, then the friends of the boy will pushed him into the shot and the boy became embarrassed. Ha. Two more weeks till SPM (O Level equivalent exam). OMG! Good luck to all of u!! !